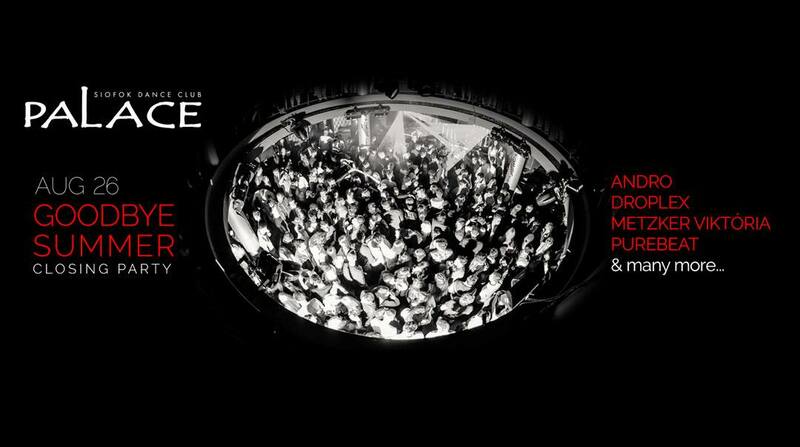 Palace Dance Club | The best way to finish the summer! You are here: Home / The best way to finish the summer! Entry: Free for girls till midnight, boys 1500 HUF. Siófok Vécsey Károly utca 20. Aug. 19-20.: House Classic & Bye-Bye Balaton The most colorful parties of the summer in 2018 every Wednesdays!